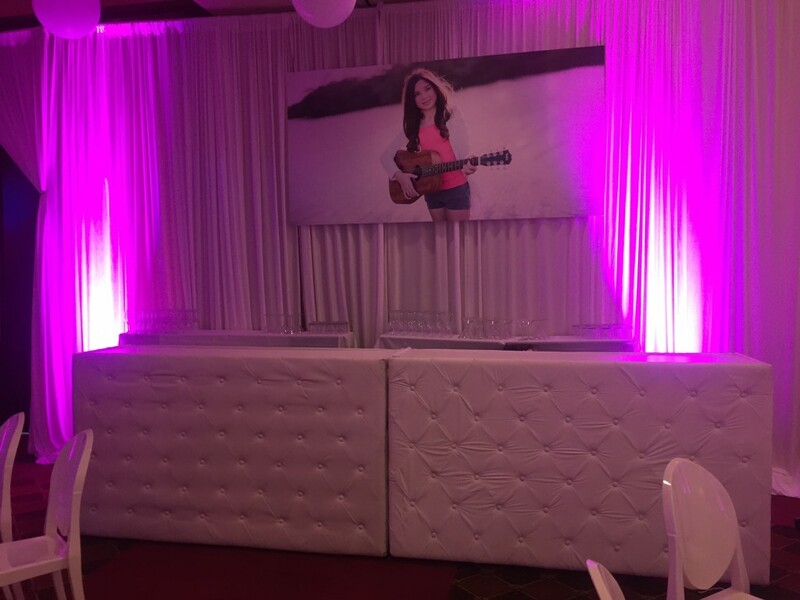 After all the Bar Mitzvahs, we finally got to go all girl with this “pinkalicious” Bat Mitzvah. 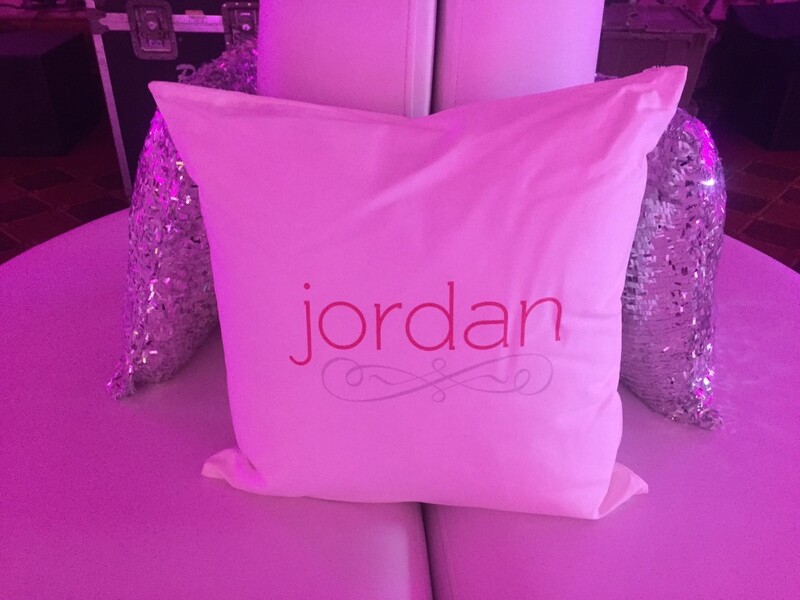 Jordan is definitely sugar and spice and everything nice and her mitzvah reflected just that. Our vision was “girly girl” with sophisticated elegance. 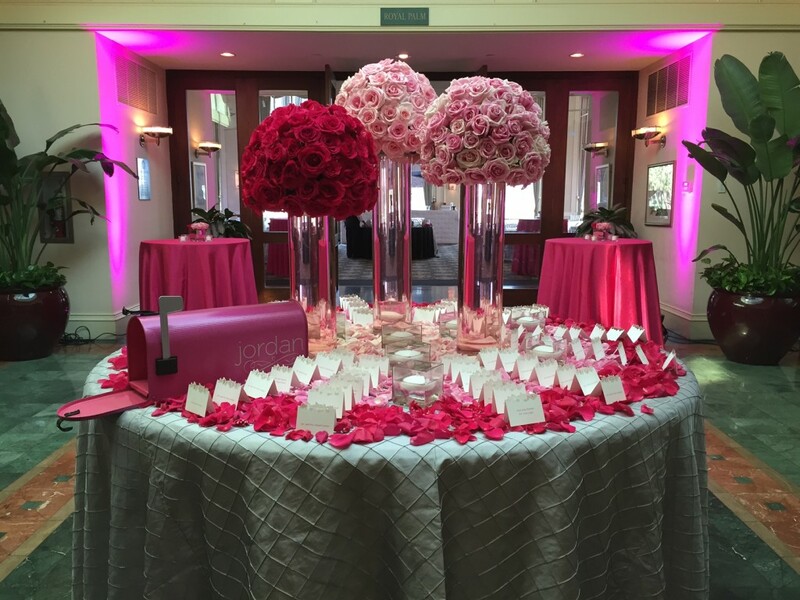 Dalsimer Atlas Floral and Event Decorators always knows how to interpret our plan and executed it to perfection. 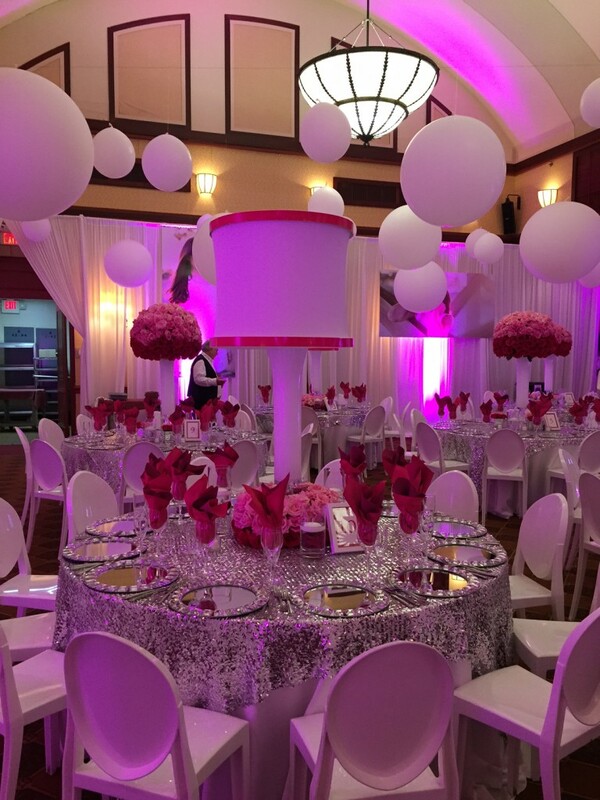 The ballroom at Weston Hills County Club was transformed like it never was before. 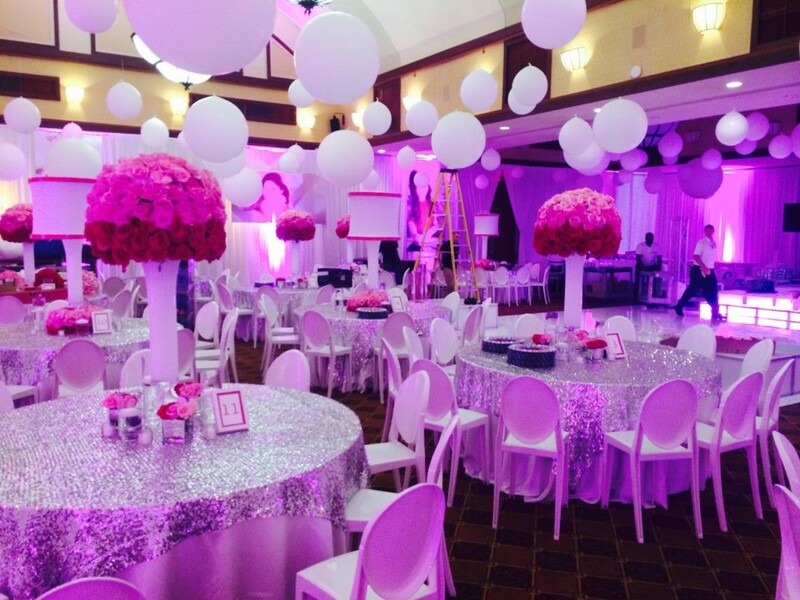 The room was draped in white and the ceiling was covered with giant air filled balloon spheres. 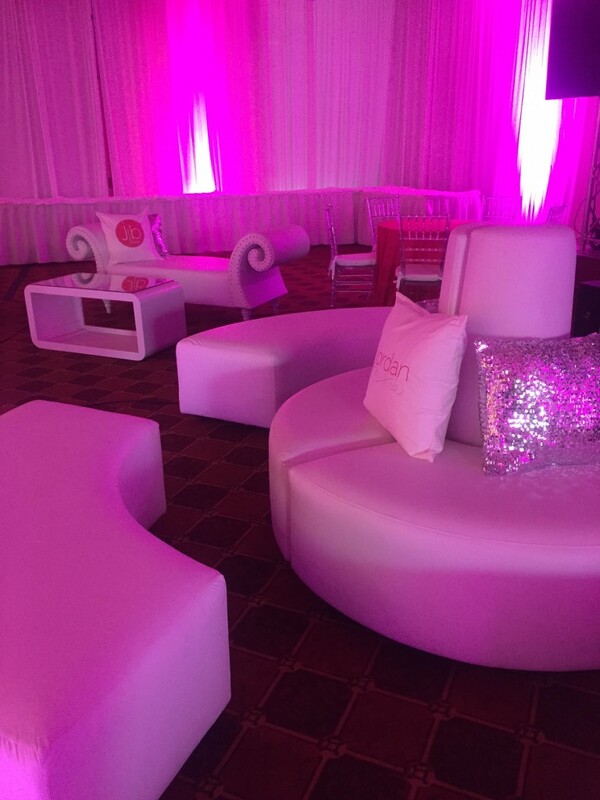 Our color palette was white, silver and of course, PINK! 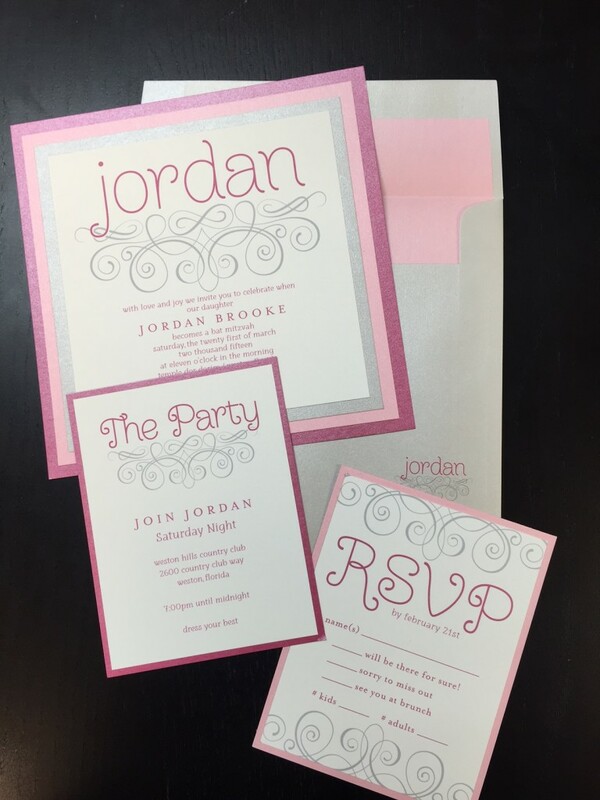 The invites were girly and swirly and the place cards were laser cut with butterflies on the edges. There was definitely no sign of frogs and snails and puppy dog tails. 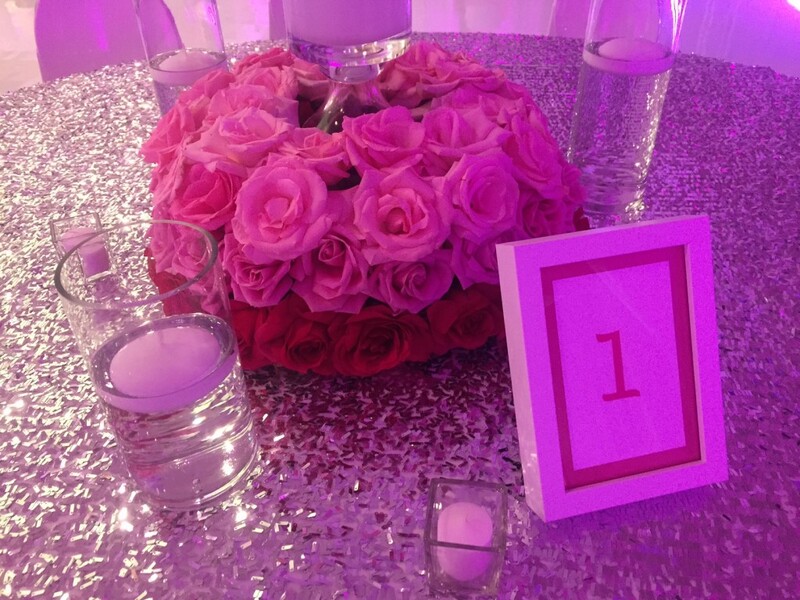 Our tables had the most exquisite floral designs made of roses done ombre style and large custom lampshade centerpieces. 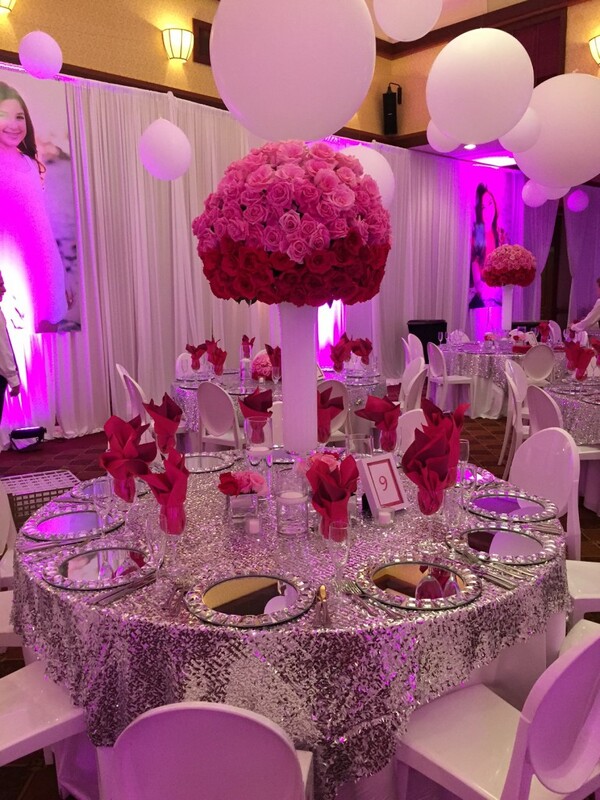 The tables were set with sparkly silver overlays and jeweled mirrored chargers with a pop of raspberry pink. Our young guests got to enjoy the kids lounge next to the dance floor where Pure Energy kept them entertained all night long. 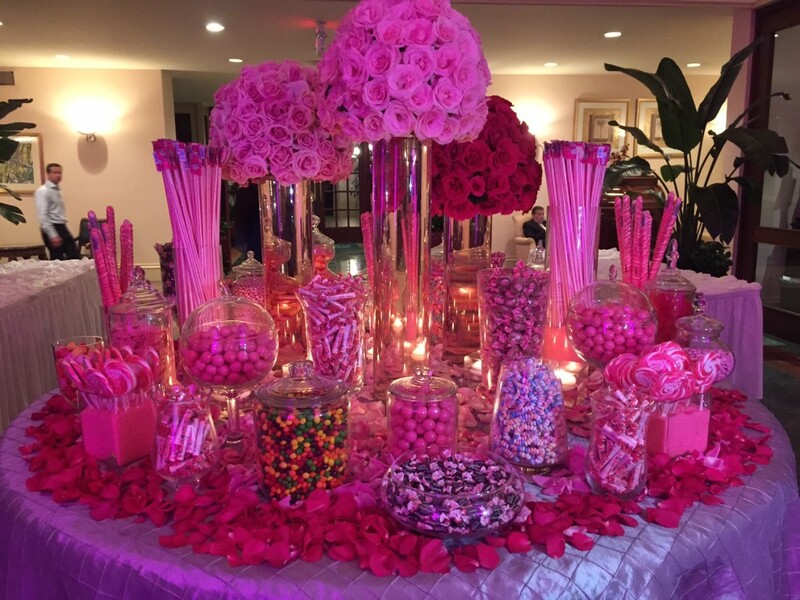 At the end of the night, all guests big and small got to enjoy the amazing candy bar. It was a sweet ending to a very sweet night in honor of a very sweet girl. 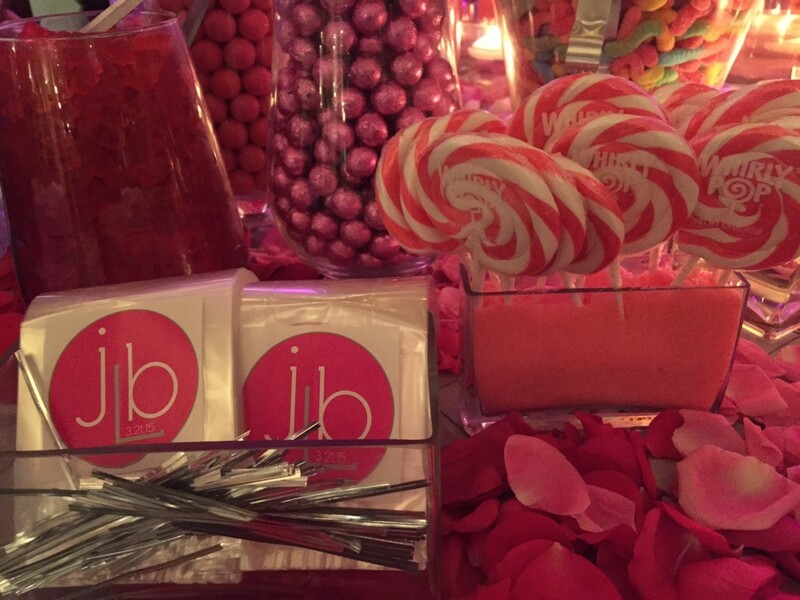 Always keeping our events sweet & STYLED! Mazel to Jordan and her family. For more information on Jennifer Keller Styled Events, please visit our website, like us on Facebook and follow us on Twitter & Pinterest.